In each episode, master magician and online sensation Tomas B. De la Cruz, Jr. (a.k.a. Smoothini) immerses himself into the world of a music influencer. Disarming them with mind-blowing magic tricks, he gets to know A$AP Ferg, Becky G, Fat Joe, Iggy Azalea, Lil Jon and Waka Flocka Flame and reveals something about each featured artist that even their most devoted fans didn't know. By the end of each episode, Smoothini will unveil an illusion custom-designed for the artist. Smoothini has established a significant presence on YouTube with videos generating more than 60 million views, including one of the top ten most-viewed America's Got Talentsegments in history. Tomas B. 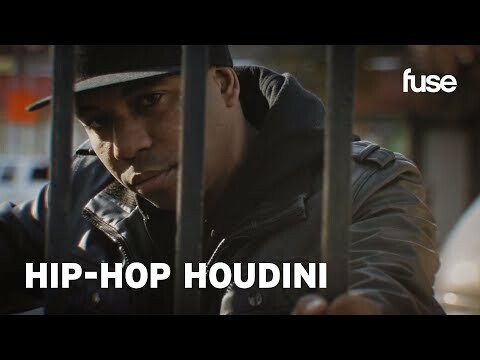 De la Cruz Jr.
Hip-Hop Houdini Season 1 was released on Fuse 280d ago in the US. Notify me when Hip-Hop Houdini Season 1 is available.